Companies live or die based on their ability to communicate and deliver on the promise their brand makes to their customers. To do this effectively, leaders need to clearly define the vision and strategies that support that brand intention and ensure these are manifested thorough their organization's culture. This includes the alignment of the roles, expectations, and goals of each and every member of the organization. And, a clear focus on the creation and delivery of aligned human resource and organizational development strategies. Attendees will come away with a framework designed to provide an increased knowledge and skill set to more effectively align their organizations and achieve their personal goals. As a result, they will be able to immediately apply their learning to achieve better alignment, better performance, and better results. 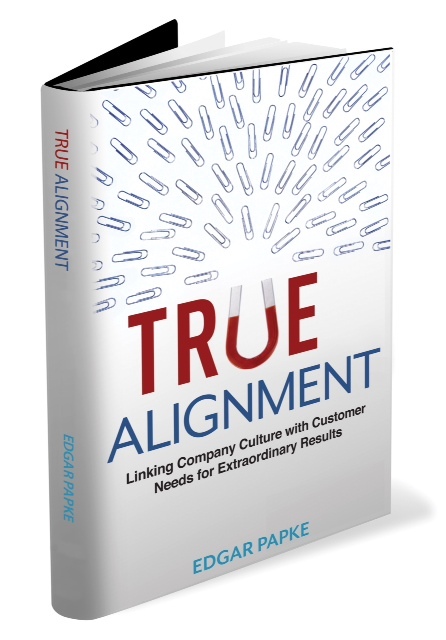 A copy of Edgar's book, True Alignment, will be available for purchase at the event. 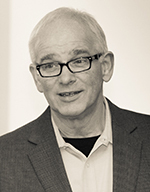 Edgar Papke is a writer, speaker and leadership coach dedicated to studying and teaching the human art of business. He is the author of the book True Alignment and is the recipient of Vistage International's Impact Speaker of the Year and International Speaker of the Year awards. With over 17,000 members, Vistage is the world's largest organization for Chief Executives. He is a featured contributor to the American Management Association's newsletter and is a frequent guest blogger on leadership, business, and social issues. Widely recognized for his authentic style, over the past 25 years he has delivered over 2,500 speeches, presentations and workshops worldwide. Across a broad range of industries, his clients range from small and regional businesses, to multi-national Fortune 500 companies.